The Nigerian Air Force, Thursday, vowed to flush criminal elements from Mammy Markets in its barracks. The Chief of Air Staff, Air Marshal Sadiq Abubakar, gave the assurance while inaugurating a modern Mammy Market facility at Sam Ethnan Base in ikeja, Lagos. 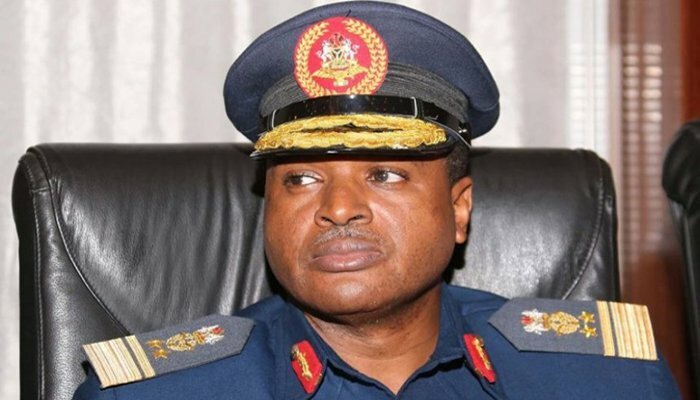 Abubakar, who was represented by the Air Officer Commanding, Logistics Command, Air Vice Marshal Ibrahim Yahaya, said there would be no more room for criminal elements in the facility across the country. According to him, “There will be no more room for criminal elements to be haboured as the facility is designed to professional standards with adequate provisions to cater for all our social needs. “It is no secret that we live in perilous times with several challenges. "It is against this backdrop that the Nigerian Air force (NAF) Properties Company Ltd. embarked on aggresive project to provide better mammy market facilities in NAF bases around the country,”he said. Abubakar added that personnel and the NAF immediate friends would be given prime priority to acquire and operate the new mammy market facilities. Earlier, the Managing Director, NAF Properties Limited, Air Commodore Musa Tanko, said that the facility would provide services and support to personnel, families and members of its host community in Lagos. “Its a truism that welfare is a morale booster to personnel. This I believe underlies the infrastructural development drive of this present administration. "Consequently, one of the key drivers of the CAS in achieving his vision is to reinforce a culture of self reliance and prudent management of resources. “NAF Properties Limited keyed into the vision of the CAS by desiring to construct about 400 locked up shops with modern market facilities to serve NAF personnel in Lagos and its host community,” he said. “It is therefore no gain saying that the construction of the market is in line with the current administration’s highly laudable efforts to improve personnel’s welfare and quality infrastructural development of its personnel,” he remarked.